It is not a fortune-telling method. It will enable you to look under the cover of your superficial self and help you reveal the real condition of all levels of your being at the present moment. It does not judge whetheryou are good or bad. When you are honest with yourself, it will provide you with valuable information right from the God´s source. Information = Light. The more information you recive (also about what you do in a wrong way), the more Light enters your life. 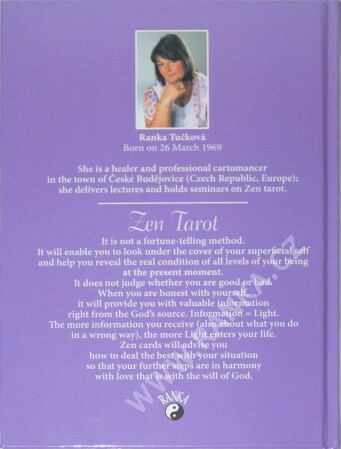 Zen cards will advise you how to deal the best with your situation so that your further steps are in harmony with love that is with the will of God.